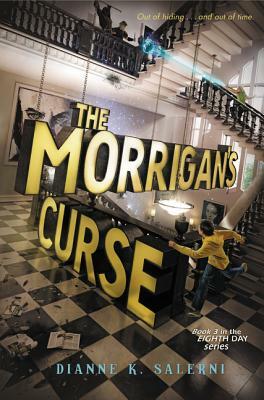 THE MORRIGAN'S CURSE Guest post from Dianne Salerni! Synopsis: The battle between Kin and Transitioners that's been brewing for centuries has finally come to a head. The sinister Kin have captured Evangeline's younger sister, Addie, a descendant of Merlin whose presence will allow them to reverse the Eighth Day Spell and free themselves. Addie has been helping the Kin because they value the strength of her magic, something Evangeline never did. Meanwhile, Riley, Evangeline, and Jax craft a plan to rescue Addie from her captors. But the Kin's unstoppable magic, and a rebellious Addie, force Riley to reconsider whether saving Addie is worth sacrificing everyone who lives in the seven-day week. Jax won't let Evangeline's sister be used as a pawn, so he risks it all in a secret mission of his own. With the Morrigan pushing both sides of the war toward annihilation, Addie must decide where her loyalties lie, while Jax, Riley, and Evangeline confront the possibility of losing Addie to save the world. 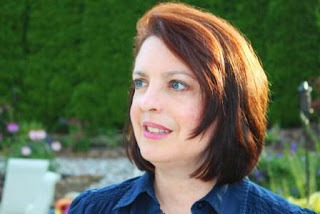 Readers, I'm honored to once again welcome Dianne Salerni to my blog. Take it away, Dianne! It’s very fitting that Joanne asked me to write a post on Leap Day, a day that doesn’t exist most of the time. My Eighth Day series is about a day of the week that doesn’t exist for most people. In this book, readers finally meet Evangeline’s little sister. They already know she’s going to be trouble. In Book 1, Evangeline predicts that wherever her spitfire sister is, she’s driving her guardians crazy. In Book 2, Addie doesn’t win any points by leaving her elderly foster parents a petulant list of complaints. We also learn that she bit Finn Ambrose when he forcibly took blood samples from her. (Really, though, he had that coming.) 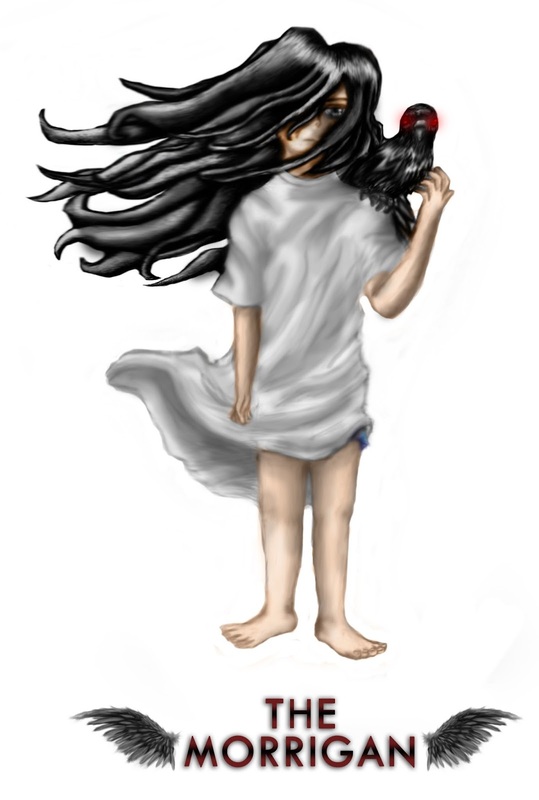 And at the end of the book, she willingly runs off with the evil Llyr family. So, heading into The Morrigan’s Curse, I was working with a resentful, prickly protagonist who’d aligned herself with the bad guys. Nevertheless, I needed Addie to be sympathetic. I wanted readers to like her and root for her. Evangeline describes Addie as “difficult,” and she certainly was difficult to write. I rewrote her POV chapters many, many times, and I didn’t know whether I’d done her justice until I got my revision letter from my editor. What she said about Addie made me cry (in a good way). I hope everyone else will love Addie, prickliness and all. 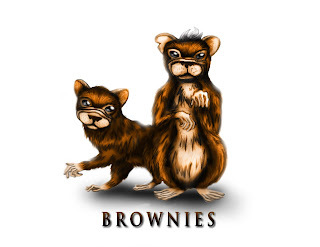 In The Inquisitor’s Mark we learn that Jax’s dad had a pet brownie named Stink. In fact, we met Stink in that book, although he was never directly identified. (Lots of readers guessed, though.) I don’t want to post any spoilers here, but let’s just say that Stink is my favorite new character after Addie. Smartest. Pet. Ever. Again, no spoilers, but weaving this 3-in-one deity from Celtic mythology into my story was a lot of fun. She’s a force of nature, embodying destruction and chaos. She manifests as an old crone, a middle-aged woman – or a young girl often referred to as the Girl of Crows. “How’d you end up with the Sword of Nuadu?” Evangeline whispered. Joanne, thank so much for inviting me here today to celebrate the release of The Morrigan’s Curse! My pleasure, Dianne! Thanks so much for your guest post. And that's a great quote at the end of your post. Learn more about Dianne at her website. Readers, have you read the first two books in The Eighth Day series? The Eighth Day and The Inquisitor's Mark? If so, you definitely need to read this book. And if you haven't read the first two, what are you waiting for? Synopsis (from Indiebound): Buck Anderson's life seems to be changing completely. His best friend, David, has moved away; his anxious parents are hounding him more than ever; he has reluctantly agreed to fill in for his uncle and do odd jobs for a grumpy old veteran in town; and his twin sister has a new boyfriend and is never around anymore. To top it all off, Buck is bullied by a group of boys at school mainly because he stutters. There is one thing that frees Buck from his worries. 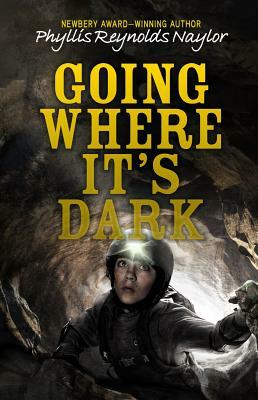 It is the heart-pounding exhilaration he feels when exploring underground caves in and around his hometown. He used to go caving with David, but he's determined to continue on his own now. He doesn't know that more changes are headed his way, changes that just might make him rethink his view of the world and his place in it. Why I recommend it: Buck emerges as a very real and likable thirteen-year-old boy, who happens to stutter. I also found it refreshing to read about a large and loving family with two parents, which seems rare in recent MG literature (or is it just me?). The caving adventures add a level of excitement. My pulse raced when I reached the part where the bullies drop him in the pit and he has to find a way out on his own. I think I read the last third of this book without taking a breath. Bonus: This is the second novel I've read about a young teen who stutters. The first was Tending To Grace by Kimberly Newton Fusco (reviewed here). The two styles are quite different but both books have much to offer the reader. Each of my sons had speech disorders in elementary school, and speech therapy made a huge difference in their lives. Teachers and librarians: this book would be excellent for helping students empathize with kids who have speech disorders. Phyllis Reynolds Naylor is the author of more than 140 books, including Shiloh, the Alice books, The Boys Start the War, The Girls Get Even (and many more Boy-Girl Battle books). Read more about Phyllis at randomhouse.com. Readers, do you know of any other MG novels about stuttering? Or about caving? Synopsis (from Indiebound): "Jacqueline Woodson, one of today's finest writers, tells the moving story of her childhood in mesmerizing verse. " Why I recommend it: I first discovered Jacqueline Woodson when I read her picture book, Coming On Home Soon, in 2004, and later her MG novel, Feathers, in 2007. Both were books I loved and championed at the indie bookstore where I worked. I found Jacqueline's writing to be gorgeous and poetic. So it's not surprising that she chose to tell the story of her own childhood in verse. In breathtaking, yet spare poetry, we get to know the child Jackie, her family, and all the elements that shaped her into a writer. It's inspiring and deeply moving. But don't just take my word for it. Look at that cover image. This book has so many awards they barely fit! And they're all well deserved. 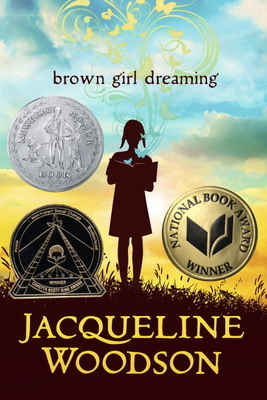 Winner of the Coretta Scott King Award, the National Book Award, and a Newbery Honor book. all that you've asked of it. What Coretta Scott King award winners have you read or do you want to read?